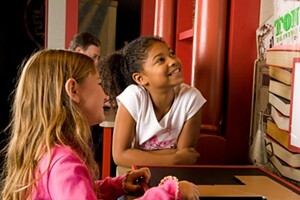 Mindbender Mansion | Montshire Museum of Science | Ongoing Exhibits | Kids VT - small people, big ideas! When: May 25-Sept. 2, 10 a.m.-5 p.m. Puzzle fans try to master brainteasers and interactive challenges in this temporary exhibit devoted to testing the problem-solving skills of all ages. Regular museum admission, $13-18; free for children under 2. Through September 2.